Last summer, I was on the Santa Monica Pier looking back at happy kids playing on the beach, peering out across the sparkling Pacific Ocean. Out of nowhere, a bright chord from an acoustic guitar resonated the air. I turned to see the handsome, smiling face of Peter Su, one of the regular buskers on the Pier. I was taken by the purity of his voice and beautiful songs that recalled the heart-wrenching melodies of Brian Wilson. After his set we spoke and I was surprised to learn that this humble street performer once had a past life as an investment banker at Goldman Sachs. 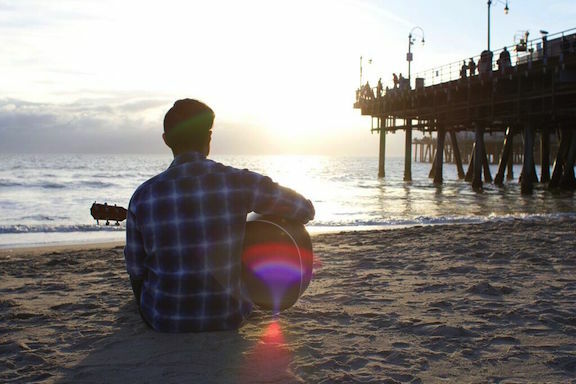 Why was he out here at the Santa Monica beach now, singing for his supper? Music has always been my spiritual connection to God, a universal consciousness, and to others. When it's good, every cell of my body is vibrating. I grew up loving it -- playing violin in the Palo Alto Chamber Orchestra, jamming to Weezer songs with high school friends, singing in Noteworthy A Cappella in college, writing poems in my Blackberry in between conference calls. I always dreamt of creating an album that really meant something to someone else, my own Pet Sounds, but I just thought that's all it was, a fantasy. I remember sitting there in my cubicle on a Saturday afternoon, on the 42nd floor of the tallest office building in San Francisco, looking out through the glass panes and watching all the sailboats float outside and realized I had been blindly ambitious my whole life, and that the only way I was going to be fulfilled was to do what I loved. At 25, despite the warning of his family and his own fears, he left his corporate job and dove headfirst into songwriting and performing at as many open mics as he could find. 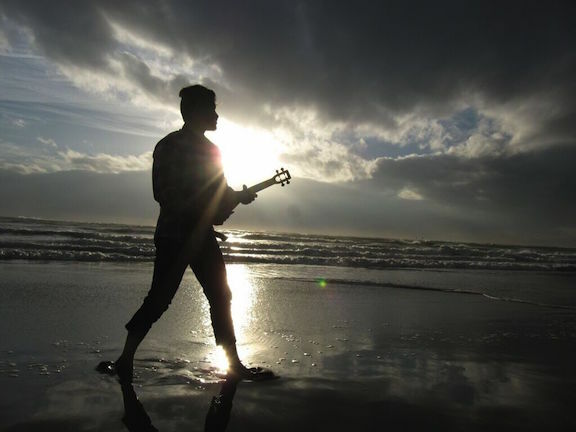 Peter began to look for an environment to be around more songwriters and artists. 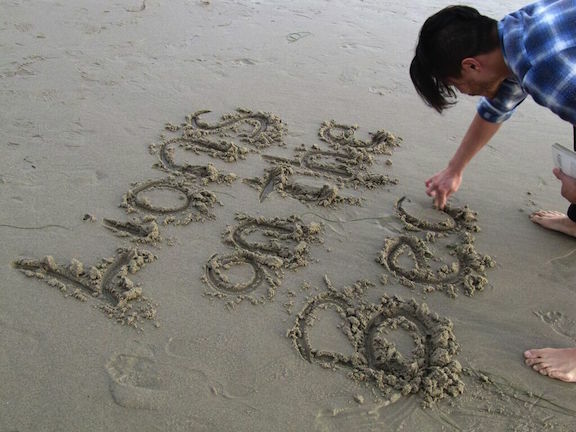 After an encouraging phone call with Rob Seals at The Songwriting School of LA, Peter decided to pack up his guitar and sleeping bag and make the fabled move down to LA. When I first moved to Echo Park, I looked up all the songwriter venues and honed in on The Hotel Café. That was the songwriter venue in LA. So one night I drove down Hollywood Boulevard, parked, and walked towards the big door, totally feeling like Miley Cyrus in Party in the USA. I cracked it open, just to peek into the room - and the stage looked HUGE. I got nervous and left, hoping that I'd get to play there one day. Peter "went in hermit-mode, honing [his] craft as an artist" for the next few years. 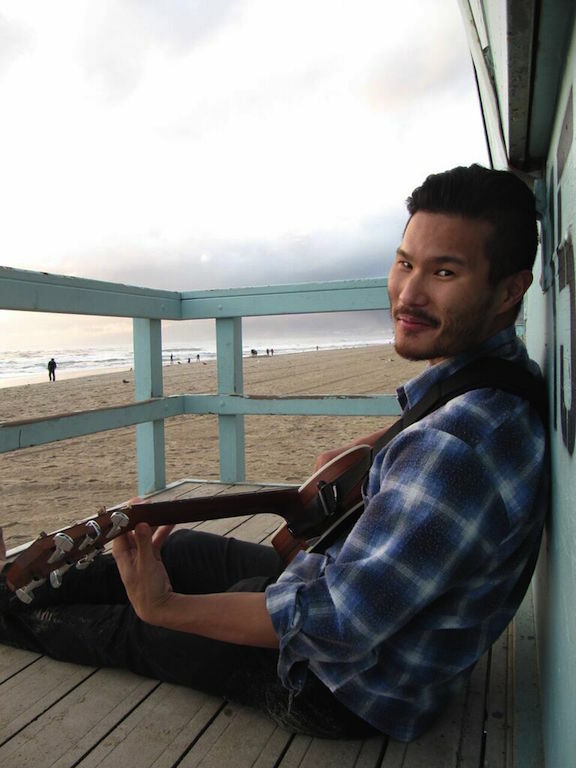 He studied songwriting, taking classes at the Songwriting School, co-writing with other writers, creating songs daily for a few months, and ended up writing over 80 songs. 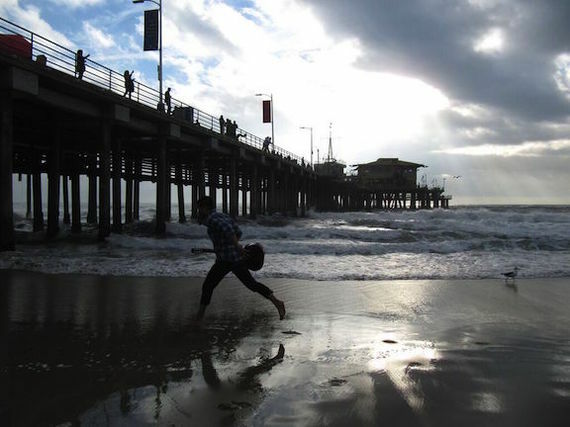 The Santa Monica Pier is where I became a performer, and really learned what it means to connect with an audience. It's a beautiful thing. 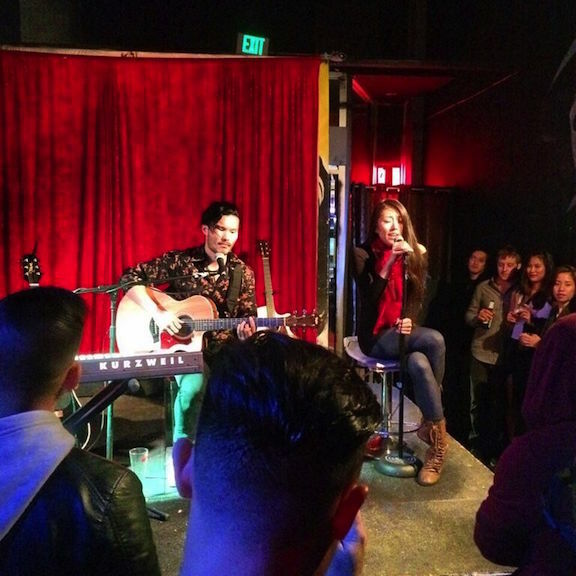 These intimate moments between two people, a performer and a crowd. Right before I put on my headphones to sing the first vocal for Santa Barbara, I had to pinch myself. I was recording in Room 1 at Sunset Sound, where The Beach Boys tracked Good Vibrations, one of the best pop songs of all time. In true Brian Wilson songwriter-producer fashion, Peter wrote all the songs and produced the album at Sunset Sound, one of LA's most famous studios -- home to Prince, The Rolling Stones, The Black Keys, etc. With Dave Schwerkolt engineering the sessions, Peter sang all lead vocals and multi-part harmony, and played acoustic and electric guitar, violin, organ, and piano. For rhythm and strings, Peter recruited and directed a next-gen "wrecking crew" of session musicians, including: Patrick Taylor (Borns, Connie Lim) on upright and electric bass; Kiel Feher (Selena Gomez, Zella Day) on drums; and Kiara Ana Perico (Ariana Grande) on violin and viola. 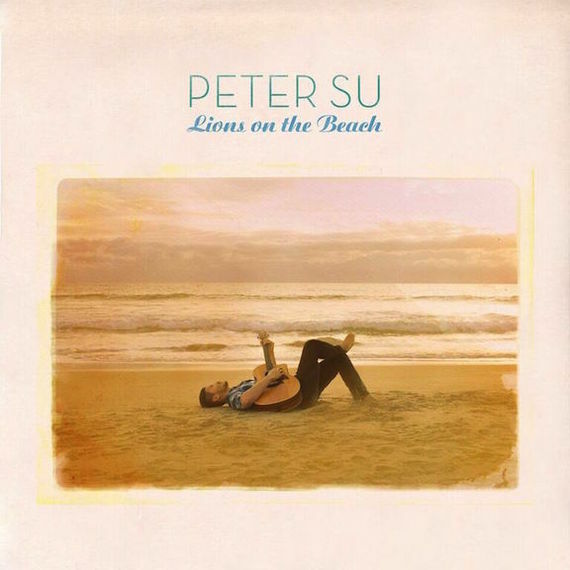 Listening to an advance copy, I'm pleased to report that Peter Su's Lions on the Beach can make a legitimate claim to be the indie Pet Sounds for the millennial generation: "Overall, expect music that pulls you into another world, where it's soothing, beautiful, kind of sad yet hopeful. A world for dreamers." Check out "Lions on the Beach" on iTunes and Spotify, available March 4, and follow Peter Su's journey, at his Music site and on Facebook, Instagram and YouTube. Ashley Jude Collie is a big fan of Peter Su's music and Album Release Parties at The Hotel Café on March 4, and in San Francisco at Hotel Utah on March 12.